This month features a full size 3 page GM Screen, with color maps, additional adventure tables, awesome NPCs and new artifacts. On the player side is a beautiful picture of a huge Orc & Goblin war: featured art by Chet Minton. Adventures on the Open Road cards are written in serialized format. You can play them as a one-shot, all three as an adventure series, or from month-to-month as a massive campaign. You're getting all 3 of the Adventure Cards with full color ART for the month indicated and it ships in an RPGCrate box with a layer of Pick & Pluck Dragon Foam. They are full color front, full color back, printed on high gloss UV protected card stock, and each one is dry-erase compatible. Each card has recommended adventure hooks in a "How it Begins" section as well as victory conditions with "What's Next". Each set of three cards easily provides 3-6 hours of solid play. 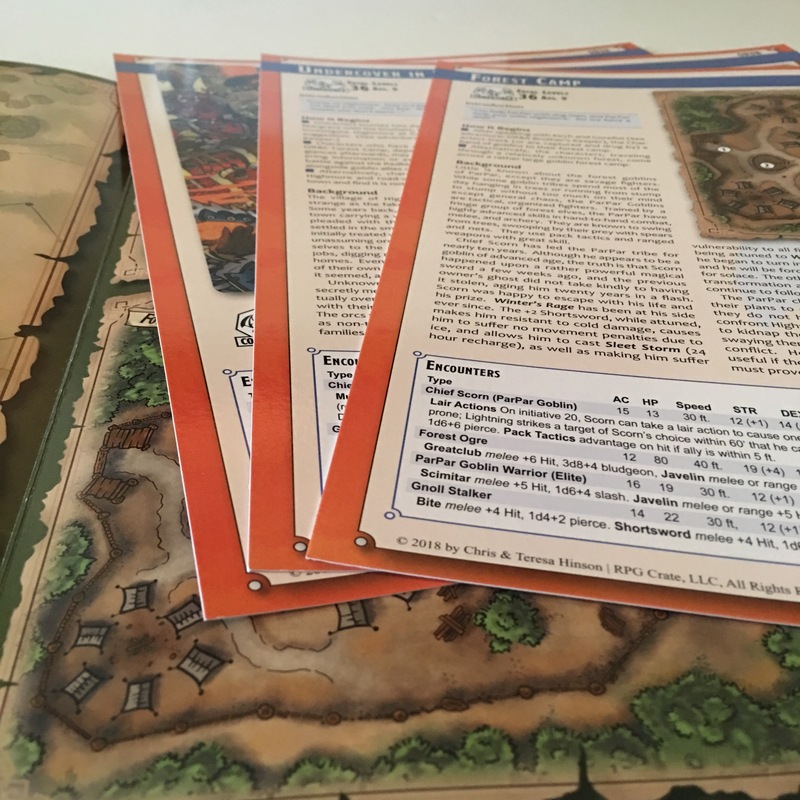 They are based on 5th Edition rules, but we have written this as a 5th Edition LIGHT stat block so to make them easily convertible to other game systems.